On June 15, 2018, the Office of the Superintendent or Real Estate (OSRE) implemented a new set of rules which Realtors must adhere to and new forms to use. 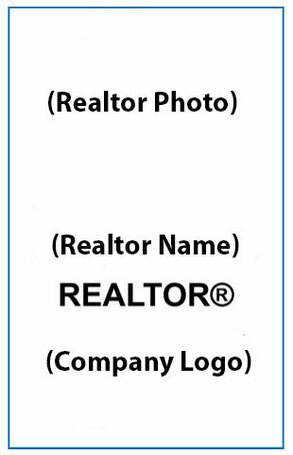 These new forms replace the old Working With a Realtor (WWR, highlights added) form which was used in the past. After working with the new rules and forms for 6 months I decided to post this blog to explain things in more detail as the OSRE did little to educate the public. This is a long post as the changes fundamentally changed how we work with consumers. The new rules, or procedure, has change the information we give consumers, hopefully making things a little clearer. Which is a positive change in my opinion. The big change for consumer is when and how we provide that information, plus the elimination of dual agency, where a realtor represents both the buyer and seller. This has not been well received by some and I comment on it further at the end of this blog. The reasons for the changes are threefold. With the elimination of dual agency, where a Realtor represents both the buyer and seller, the first page of the old WWR needed changing. This form has been replaced with several other forms. OSRE also wanted the consumer to be better informed about the different relationships (client or unrepresented party) so that they could make better decisions. The term "Customer" in the old WWR has been replaced with "Unrepresented Party" and the new forms go into more detail explaining this relationship so consumers have a better understanding. If consumers choose an unrepresented party relationship, there is an additional form that explains this relationship and risks further. In understanding these changes it is helpful to know that agency law is common law, which means that there does not need to be a written agreement for an agency relationship (client/agent) to exist. If two people are acting as a client and agent, then an "implied" agency relationship exists. This agency relationship, while not written, places the same duties and responsibilities upon the Realtor (agent). As a Realtor, if I receive personal information from you such as your motivation for buying or selling, financial or personal information and/or I give you advice, then there is the potential that an agency relationship exists. Under the new rules we must avoid this with unrepresented parties. Therefore, according to the new rules we Realtors must establish as soon as possible if we have a client relationship or an unrepresented party relationship as the type of relationship does affect what we can do for the consumer. The main change for consumers is that when you first meet with a Realtor you will likely be asked to complete at least one of these forms. It is a little like walking onto a car lot and having the sales person come out with a clipboard with a form for you to sign before they will talk to you. Having said that, I do believe the changes are positive overall and the consumer will be better informed and protected. It will just take some time to get used to the new procedure. It is important to note that a consumer can have a client relationship with more than one Realtor. None of the new forms include an exclusive client/agent relationship. Signing the form identifies the type of relationship, it does not mean that you are committed to work with that Realtor. You are the consumer, who you work with is your choice, you can even change if you would like. I completely understand that part of buying or selling a home involves finding a Realtor that you are comfortable with. To reinforce that, I also give my consumers a letter that they can sign at anytime if they would like to end our client/agent relationship. Here are the forms that will most likely be used. You can sign this form and have a client relationship with more than one Realtor. Realtors owe a duty to their clients to use "reasonable care and skill." While this term may sound somewhat undefined, it actually is a well established legal term. Realtors are expected to follow the rules, our code of conduct, the Real Estate Services Act and the guidelines in our Professional Standards Manual. We Realtors are expected to follow all legal instructions of our clients. In other words, we work for you. Our duty of confidentiality to you lasts forever, it does not end when the relationship ends. 2. Disclosure of Risks to Unrepresented Parties: If a consumer chooses to be an unrepresented party this form goes into more detail about what a Realtor can and cannot do for you. In a nut shell, the Realtor can provide general information but cannot offer an opinion, provide advice, negotiate on your behalf and the Realtor must not receive any personal or confidential information from you such as financial, motivation for buying or selling or price and terms that would be acceptable to you. They can provide standard contracts and other documents, and fill them out at your direction. They cannot advise or suggest what to put in the contract such as price, deposit, dates, included items and subject to terms (financing, inspection, insurance, title and many other special terms). This form, and the Realtor, will advise you to get independent professional (legal) advice. I have done this with the buyer being my client and the seller being an unrepresented party as a for sale by owner and it was workable. The buyer and I put together the offer and the sellers let me know what changes they would like to see without input from me. In this situation the sellers were advise to seek their own legal council. As they were selling on their own they were prepared to be unrepresented and had already decided not to avail themselves with the advice and expertise of a Realtor. Acting for the buyer I was able to manage the process through to completion. After working with the process for six months, this is the only situation in which I would be comfortable working with an unrepresented party. I see real problems with working with an unrepresented buyer. Firstly, when I show a listing, or a property, I often see things that I bring to the buyer's attention as potential issues to consider, as well as positive factors. I have difficulty imagining showing a place without saying anything. Secondly, there is the matter of the offer. One of a Realtor's prime duties is to write enforceable offers that adequately protect their client. For that we have training, pre-written documents and terms to choose from, plus experience. In this scenario I am expected to write the offer at the direction of the buyer. What if a term they are suggesting is not enforceable, or they are not including an important term? Am I to say nothing and watch them make mistakes? Potentially causing them financial loss and other difficulties. If I do advise them, then I am in an agency relationship with both parties which is a conflict of interest. I get paid for my knowledge, skill and expertise to ensure my client's interests are protected. Getting paid while not doing that does not sit well with me. Thirdly, occasionally matters come up after the offer is accepted that need attention and agreement between the buyer and seller. The inspection may turn up something that needs addressing, zoning or building permit issues can arise, or an offer subject to the sale of the buyer's current home has some additional complexities. Again, am I to offer no advice? 3. Disclosure of Expected Remuneration. This form applies to sellers only and discloses the amount or remuneration a Realtor will receive in a dollar amount. In the past the commission was (and still is) included in the listing agreement, though it is as a percentage of purchase price since it is not known what the purchase price will be at the time the agreement is signed. The OSRE felt that it would serve the seller better if they could see a dollar amount. Plus, this form clearly shows the dollar amount if the Realtor has the buyer as unrepresented and is receiving both commission. To achieve this goal, this form must be provided with each offer and counter offer before the offer is presented. While it does create a lot of paperwork, the seller should have a clear understanding of the dollar amount of the commission and who is receiving it. For buyers, Realtor will continue to use the existing Disclosure of Remuneration form. I put "No other remuneration" in part C to let clients know that if I recommend someone, such as a mortgage broker, inspector, lawyer, etc. that I do not receiving any payments for the referral. 4. Agreement Regarding Conflict of Interest Between Clients. This form is to address the situation that was previously handled with dual agency. It covers the situation where a Realtor has one client that is the seller and another that is a buyer, or two buyers interested in the same property. Clearly this is a conflict as the seller wants the highest price possible and the buyer wants the lowest. Or if something comes up in the inspection, each party will have different goals regarding how much the seller will contribute to the issue. With two buyers, they both want the home yet only one of them will be successful, so again it is a conflict. Where this scenario is likely to arise is when a Realtor has a listing and a buyer, new or old client, is interested in the property. Having the buyer being unrepresented would allow the Realtor to retain both commissions, similar to the old dual agency. For myself, I would likely refer the buyer to another realtor for the reasons above. The offer starts with the buyer and unless the buyer is very familiar with the process, it would be in everyone's best interest for the buyer to have some assistance from their own Realtor. 5. Conflicts of Interest. A Realtor can find themselves in a conflict of interest when two or more current clients have interest (intend to make an offer) in the same property. This could be when the Realtor is representing both the buyer and seller, or two buyers for the same property. The conflict is that it is a Realtor's duty to act in the best interest of their client. As well as, the Realtor may know confidential information about client that would be advantages for the other client. In the past this situation was handled with a Limited Dual Agency agreement whereby the Realtor's duty for their clients were limited in scope. For conflict examples, usually the seller wishes to receive the highest price possible while the buyer may wish the lowest price possible. Or, due to their personal situation, one client may be highly motivated - in need to have a transaction completed sooner than later. Plus issues may come up due to the inspection in which the seller and buyer have different interests. In a conflict scenario the Realtor and clients have two options. Firstly, they can agree to the Conflict of Interest agreement where they will agree that one client will remain with the Realtor and the other would be released from that Realtor. In this case the Realtor must not reveal and confidential information about the released client. Also, the released client may be represented by another Realtor. Secondly, if the parties do not agree to the Conflict of Interest agreement, then the Realtor must stop acting for both clients and may refer them to other Realtors. Elimination of Limited Dual Agency. First, a bit of history. At one time Realtors were agents or sub-agents to the seller only. They had no agency relationship with the buyer. Then a buyer took a realtor to court claiming that an implied agency relationship existed and therefore the Realtor owed them the duties of an agent. This claim passed through to the supreme court and was upheld. So buyer agency was created and came to BC in the early 90's. Prior to this, it was common that the Realtor would work with both the seller and buyer. To maintain this arrangement Limited Dual Agency was created. This agreement addressed what a Realtor could disclose (defects) and what they could not disclose (confidential information) or advise on price. For the times, this addressed the situation. Like all industries, the Real Estate industry is continually evolving. When I bought my first house in 1994, building inspections were very rare. Now they are the standard. In the 10 years I have been a Realtor I have seen many changes. In the opinion of the Superintendent of Real Estate the Limited Dual Agency no longer services the consumer to present day standards and represents a conflict of interest as our duty is to act in the best interest of the each client. A couple of examples on this. Under Limited Dual Agency Realtors were not allowed to advise on price. Both buyers and sellers look to their Realtor for advice. Sometimes, sellers, who have pride in their home, do not adhere to the Realtor's recommended listing price and instructs them to list at a higher price (Realtors work for their client and must follow their direction or decline to work with them). Say a buyer comes to an open house and is interested in putting in an offer and they ask the listing Realtor if the price is fair. If the Realtor says that in their opinion it is high (advise they gave the seller), then they are not acting in the best interest of the seller. If they say that under dual agency they cannot comment on price, is that in the best interest of the buyer? Another example is if something is found during an inspection, say a buried oil tank. Usually, cost to remove the tank is covered by the seller. If the seller offers to pay half the cost and the buyer asks what is normal, what does the Realtor do? If they so no, then they are not acting in the best interest of the seller. If they say nothing, or that defects are a negotiated item (which is true, but there are norms), then they are not acting in the best interest of the buyer. For both examples, items such as these are always negotiated and one party may be willing to accept something that is not standard. It does happen. The point is that it can create a conflict for the Realtor if they are representing both parties. The buyer and seller could be better represented if they have their own Realtor solely acting on their behalf.